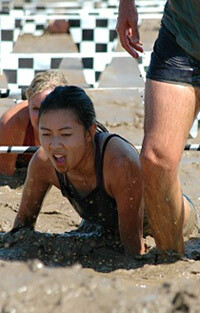 Congrats to my little sis Karen on finishing 28th in her age group in the 2004 Camp Pendleton Mud Run. She claims she had fun. Sure looks like it, huh?